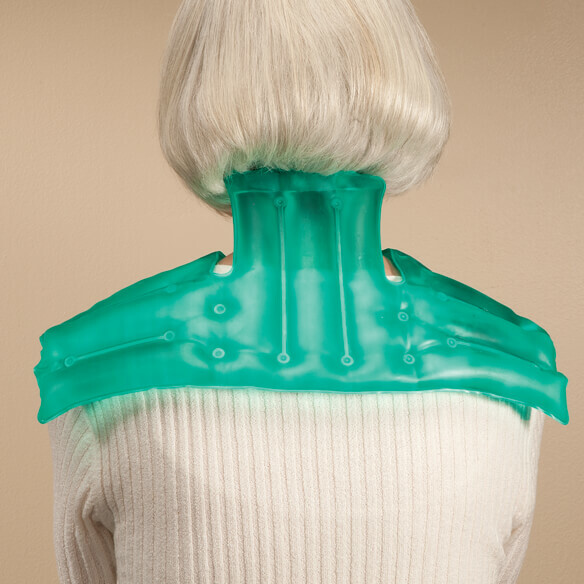 Reusable 8”x18” Neck and Shoulder Hot Pad soothes your neck and shoulders using instant heat therapy with no cords to get in the way. 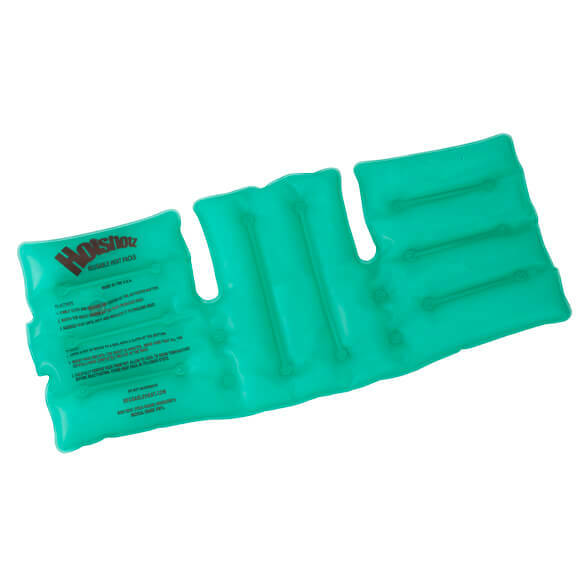 Long-lasting, reusable heat pack stays comfortably in place to relax away muscle pain and stiffness. With the press of a button, it warms in 20 seconds and generates heat for 30 minutes to 4 hours, depending on how you insulate it; use under a blanket or clothing for longest-lasting results. Once cooled and solidified, simply boil for 20 minutes to ready for next use. Safe, durable neck heating pad can be reused 500+ times. Made of medical-grade vinyl exterior with non-toxic, food-grade solution. I have shoulder and neck stiffness and pain. I wanted something re-usable. I have fibromyalgia and can't wait to get this. I hope it fits nice around my neck and shoulders.